We asked HCAs about their work and what makes being an HCA rewarding. Hearing from you showed how important the role of an HCA is to the healthcare team. Meet Shojiro Yamamoto from Edmonton! 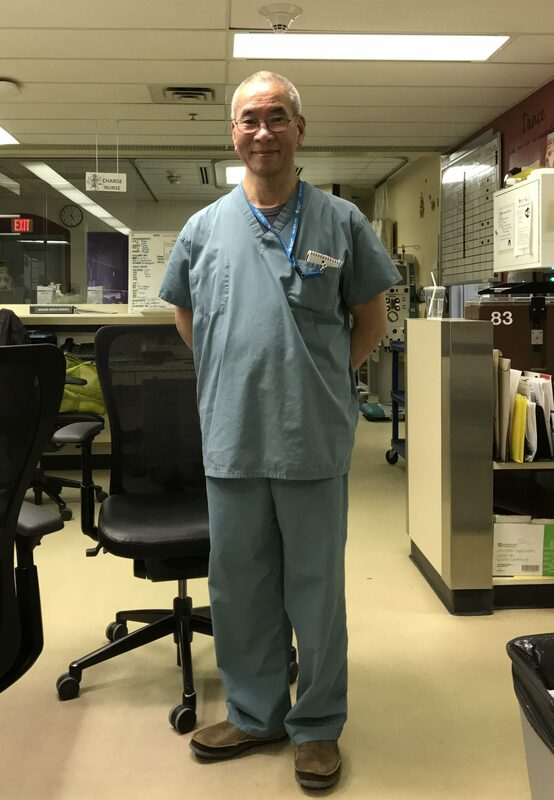 Shojiro loves both music and his patients at the University of Alberta Hospital, Stollery Hospital: PICU. Providing patient care and talking to their family is important. Saving critical patients lives and providing comfort to them. My passion is providing the best patient care possible! I graduated and studied hard to obtain the knowledge and skills for my patients. Ensuring that we are following the competencies as professional and as HCAs. One of our patients, he stayed us more than a year and he is gradually recovering from his sickness! Practise the violin and French Horn for patient care; I would like to play music for my patients. I also play with and walk my two dogs.